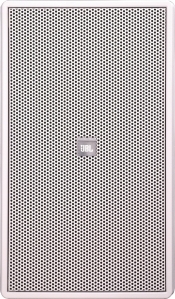 600W JBL Control®29AV högtalare från JBL Professional - väderbeständig - högre ljudkvalitet än tex KRK VXT - 8" kevlarbas 1" titandome med JBL:s extrema upplösning - ingen annan högtalare i prisklassen kan mäta sig. 600W peak 150W rms. Sveriges lägsta pris med lägsta-pris-garanti. Lagervara. 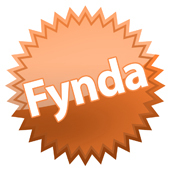 För hem, bar, restaurang, cafe, DJ, mindre konsert, studio, klarar även installation utomhus! Väggfäste medföljer. 120 decibel. Extended bandwidth, extremely smooth frequency response. 110º x 85º HF coverage, rotatable horn. 110 Watt transformer for 70V or 100V lines, with 8* thru. 200 mm (8") Kevlar cone woofer, 25 mm (1") titanium diaphragm compression driver. Includes InvisiBall(TM) mounting hardware, plus ten 6 mm attachment points for suspension and optional U-bracket. Sealed input panel cover and screw-down input terminals. 110° x 85° HF coverage, rotatable horn. 110 Watt transformer for 70V or 100V lines, with 8 ohm thru. Includes InvisiBall™ mounting hardware, plus ten 6 mm attachment points for suspension and optional U-bracket. A low-distortion 110 degree by 85 degree rotatable horn provides smooth and even coverage, while the extremely flat frequency response allows for outstanding sonic character throughout the listening area. Sonic integrity is further assured due to the sophisticated crossover network with steep slopes and impedance compensating circuitry. The Control 29AV comes with a top-quality line distribution transformer, designed for minimal insertion loss and reduced saturation, which allows use on 70V, 100V or standard the 8 ohm thru operation. 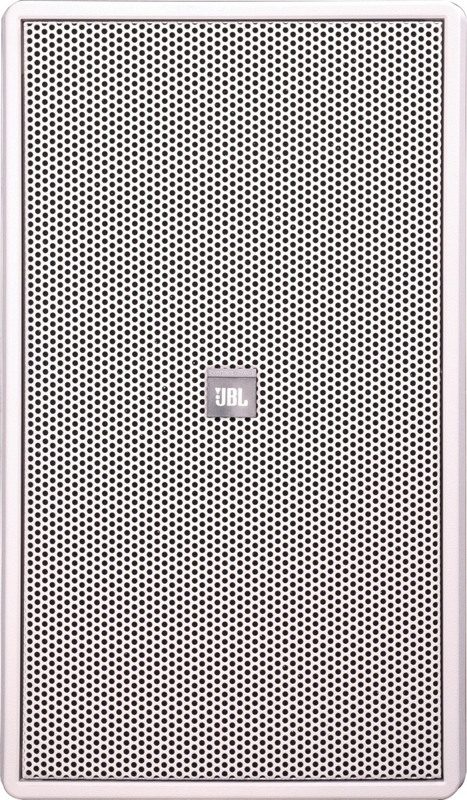 JBL´s exclusive SonicGuard™ overload protection, which is virtually inaudible to the listener, ensures reliability while providing full fidelity sound. 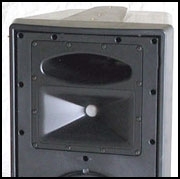 A degree of magnetic shielding allows use of the speaker close to video monitors. 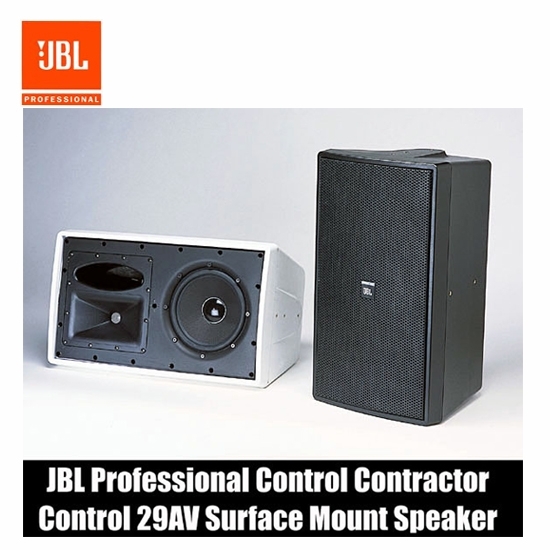 Each Control 29AV is shipped with JBL´s patented InvisiBall® mounting system. 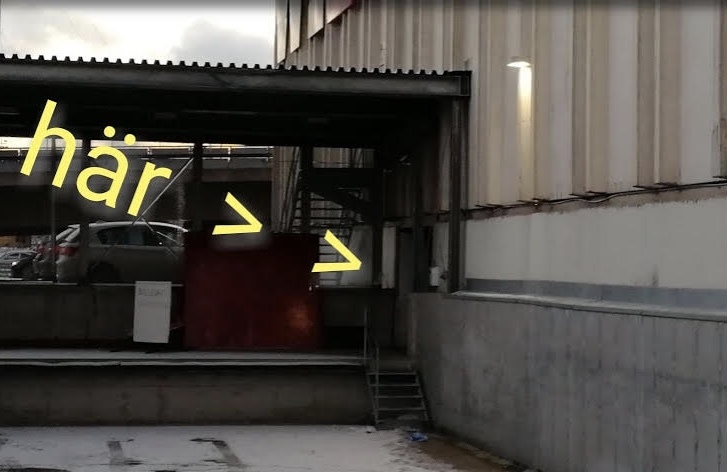 InvisiBall is simple to install, aims easily and provides a high degree of theft deterrence. The optional MTC-29UB U-bracket provides an alternative compact installation method and is particularly useful for low profile underbalcony applications. In addition, ten suspension points are provided for suspending the speaker or using a speaker stand adapter. The Control 29AV has been designed for indoor or outdoor use. The woofer´s cone is made of kevlar, the surround is pure butyl rubber, and the driver is rear loaded onto the baffle to minimize direct basket exposure to the elements. The compression driver´s diaphragm is pure titanium. The grille is coated in polyethylene and comes with foam backing to minimize incursion of water. 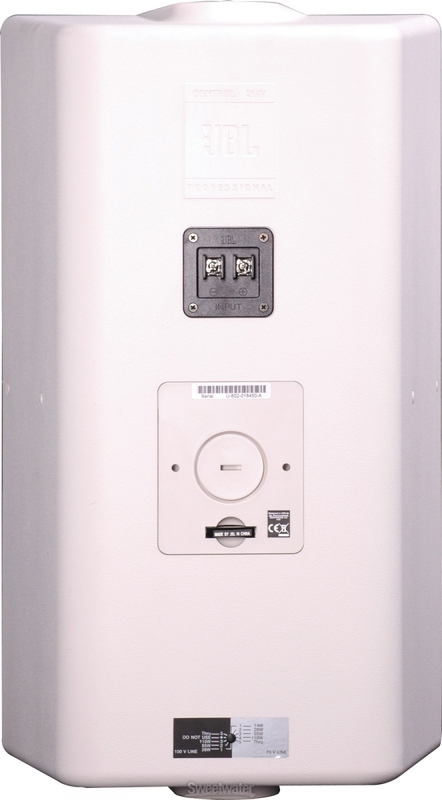 Nickel/zinc outdoor rated input terminals ensure a secure input connection, and an MTC-PC2 sealed-entrance cover is included to further protect terminals. Available in black or white (Control 29AV-WH), the cabinet accepts a variety of paints to match any décor. Full-Range power limiting to protect network and transducers. Servicable internal fuse to protect during exceptional overload conditions. IEC 529 IP-X4 splashproof rating. Exceeds MilSpec 810 for humidity, salt spray, temperature & UV. Passes Mil-Std-202F for salt spray. Screw-down terminal strip, zinc plated copper base, nickel plated metal screws/washers. Accepts up to 9 mm outside 4 mm inside open lug (#6, #8 or #10 lug), plus bare wire (up to 12 AWG/2.5 mm2). Transformer is listed per UL1876. 1 pc MTC-PC2 input panel cover, InvisiBall mounting base, 6 mm x 260 mm InvisiBall Hex wrench. 2 Continuous Pink Noise rating is IEC-shaped pink noise with a 6 dB crest factor for 100 hours continuously. Continuous program power is defined as 3 dB above the Continuous Pink Noise Rating and is a conservative expression of the system´s ability to handle normal speech and music program material. 3 Calculated from sensitivity and power handling. Power compression not considered. 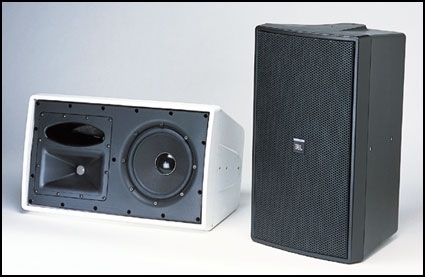 JBL continually engages in research related to product improvements. Changes introduced into existing products without notice are an expresion of that philosopy.